aromatherapy course but we have a focus on wellbeing of the therapist. We are proud to bring you the very best training in organic aromatherapy and essential oils. The Well School are dedicated and committed to the fascinating world of essential oils and the natural health benefits that we can bring about in balancing the mind and body. Our courses have been broken down so that you may build the course you want, and learn in a method that suits you. Therefore you can learn aromatherapy via distance learning and be supported in our virtual classroom or you can attend a course to enhance the learning experience by learning with other students in a classroom environment. We hope you enjoy looking around our website exploring all the different options of learning we can offer you. 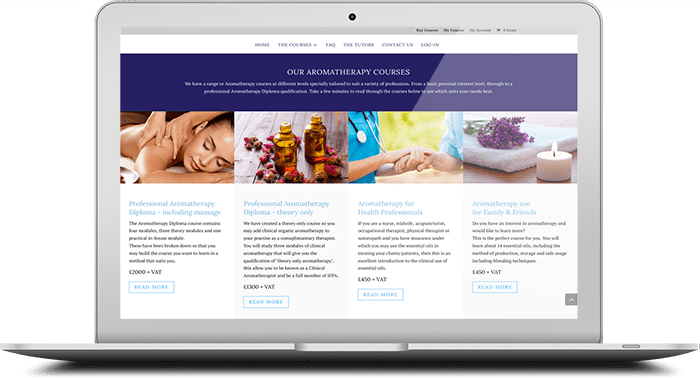 If you are new to the world of aromatherapy, please take a look at the free introductory course to sample learning with us. We hope you will choose to journey into the world of aromatherapy with us. Whether you are looking to start a new career as a Clinical Aromatherapist, to re-enter the holistic therapy world or as a health professional who would like to add essential oil knowledge to the care of your patients, The Well School have a course to suit you. We believe that learning something new should be inspiring, enjoyable and empowering. You will be supported in your learning by tutors who are passionate about organic aromatherapy and watching students journey into the world of aromatherapy and fall in love with this holistic way of living. Please note some of our in-house practical courses will run from September to May and March to December. We offer theory only learning for maximum flexibility that you may study around lifestyle, work or family commitments. When you have chosen and paid for your course you will receive a personal login name and password which will give you access to your chosen course. You will have access to your module for a maximum of six months. Should you need more time on a module, we can extend that access. Your learning will be supported by 1-2-1 sessions with your course tutor and group sessions with your fellow students. Your tests at the end of every module will be multiple choice completed online, case study work and essays to be submitted for marking. 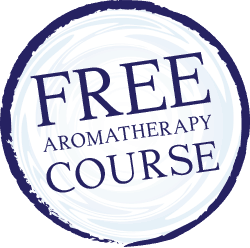 We would like to offer you a free aromatherapy taster course. Please click the button below, register for the course and you will have access to this fun way of learning a little more about aromatherapy and holistic living.